Standard NATO symbol for an infantry division. The Xs do not replace the division's number; instead, the two Xs represent a division (one would denote a brigade; three, a corps). A division is a large military unit or formation usually consisting of between 10,000 and 30,000 soldiers. In most armies, a division is composed of several regiments or brigades; in turn, several divisions typically make up a corps. In most modern militaries, a division tends to be the smallest combined arms unit capable of independent operations; this is due to its self-sustaining role as a unit with a range of combat troops and suitable combat support forces, which can be divided into various organic combinations. While the focus of this article is on army divisions, in naval usage division has a completely different meaning, referring either to an administrative department aboard naval and coast guard ships and shore commands, or to a sub-unit of several ships within a flotilla or squadron. In the administrative usage, unit size varies widely, though typically divisions number far less than 100 persons. In the US and Commonwealth Navies a divisional officer (DIVO) is usually an ensign or lieutenant (JG), but may be an officer of much higher rank in certain circumstances or aboard large warships, who oversees a team of enlisted sailors in their duties. In the West, the first general to think of organising an army into smaller combined-arms units was Maurice de Saxe (d. 1750), Marshal General of France, in his book Mes Rêveries. He died at the age of 54, without having implemented his idea. Victor-François de Broglie put the ideas into practice. He conducted successful practical experiments of the divisional system in the Seven Years' War. The first war in which the divisional system was used systematically was the French Revolutionary War. Lazare Carnot of the Committee of Public Safety, who was in charge of military affairs, came to the same conclusion about it as the previous royal government, and the army was organised into divisions. It made the armies more flexible and easy to manoeuvre, and it also made the large army of the revolution manageable. Under Napoleon, the divisions were grouped together into corps, because of their increasing size. Napoleon's military success spread the divisional and corps system all over Europe; by the end of the Napoleonic Wars all armies in Europe had adopted it. In modern times, the divisional structure has been standardized by most military forces. This does not mean that divisions are equal in size or structure from country to country, but divisions have, in most cases, come to be units of 10,000 to 20,000 troops with enough organic support to be capable of independent operations. Usually, the direct organization of the division consists of one to four brigades or battle groups of the primary combat arm of the division along with a brigade or regiment of combat support (usually artillery) and a number of direct-reporting battalions for necessary specialized support tasks such as intelligence, logistics, reconnaissance, and combat engineers. In most militaries, ideal organization strength is standardized for each type of division, encapsulated in a Table of Organization and Equipment (TO&E) which specifies exact assignments of units, personnel, and equipment for the division. The modern division became the primary identifiable combat unit in many militaries during the second half of the 20th century, supplanting the brigade; however, the trend has been reversing since the end of the Cold War. The peak of use of the division as the primary combat unit was during World War II, when over a thousand divisions were deployed by the belligerents. With technological advances since then, the combat power of each division has increased; the Invasion of Iraq was completed with only a handful of divisions with significant support forces. Divisions are often formed to organize units of a particular type together with appropriate support units to allow independent operations. In more recent times, divisions have mainly been organized as combined arms units with subordinate units representing various combat arms. In this case, the division often retains the name of a more specialized division, and may still be tasked with a primary role suited to that specialization. For most nations, cavalry was deployed in smaller units and was not therefore organized into divisions, but for larger militaries, such as that of the British Empire, United States, First French Empire, France, German Empire, Nazi Germany, Russian Empire, Empire of Japan, Second Polish Republic and Soviet Union, a number of cavalry divisions were formed. They were most often similar to the nations' infantry divisions in structure, although they usually had fewer and lighter support elements, with cavalry brigades or regiments replacing the infantry units, and supporting units such as artillery and supply being horse-drawn. For the most part, large cavalry units did not remain after World War II. While horse cavalry had been found to be obsolete, the concept of cavalry as a fast force capable of missions traditionally fulfilled by horse cavalry made a return to military thinking during the Cold War. In general, two new types of cavalry were developed: air cavalry or airmobile, relying on helicopter mobility, and armored cavalry, based on an autonomous armored formation. The former was pioneered by the 11th Air Assault Division (Test), formed on 1 February 1963 at Fort Benning, Georgia. On 29 June 1965 the division was renamed as the 1st Cavalry Division (Airmobile), before its departure for the Vietnam War. After the end of the Vietnam War, the 1st Cavalry Division was reorganised and re-equipped with tanks and armored scout vehicles to form armored cavalry, as were all of the United States' independent Cavalry Regiments. After the 1990–91 Gulf War, the U.S. 2nd Armored Cavalry Regiment (2nd ACR) was re-equipped with Humvees and designated Armored Cavalry (Light), while units retaining their Abrams tanks and Bradley fighting Vehicles were classified as Armored Cavalry (Heavy). In 2004, the 2nd ACR was again reequipped, this time with Stryker Armored Combat Vehicles, and renamed the 2nd Cavalry Regiment. A Priest 105mm self-propelled gun of British 3rd Infantry Division, 1944. The development of the tank near the end of World War I prompted some nations to experiment with forming them into division-size units. Many did this the same way as they did cavalry divisions, by merely replacing cavalry with AFVs (including tanks) and motorizing the supporting units. This proved unwieldy in combat, as the units had many tanks but few infantry units. Instead, a more balanced approach was taken by adjusting the number of tank, infantry, artillery, and support units. A panzer division was an armoured division of the Wehrmacht and the Waffen-SS of Germany during World War II. Since the end of the war, most armored and infantry divisions have had significant numbers of both tank and infantry units within them. The difference has usually been in the mix of battalions assigned. Additionally, in some militaries, armored divisions would be equipped with the most advanced or powerful tanks – such as the M1A2 Abrams in the United States. Infantry division refers to a division with a majority of infantry sub-units but also supported by subunits from other combat arms. In the Soviet Union and Russia, an infantry division is often referred to as a rifle division. A motorised infantry division refers to a division with a majority of infantry subunits transported on soft-skinned motor vehicles. A mechanized infantry division refers to a division with a majority of infantry subunits transported on armored personnel carriers (APCs) or infantry fighting vehicles (IFVs) or both, or even some other class of armored fighting vehicles designed for the transportation of infantry. Divisions are designated by combining an ordinal number and a type name. Nicknames are often assigned or adopted although these often are not considered an official part of the unit's nomenclature. In some cases, divisional titles lack an ordinal number, often in the case of unique units or units serving as elite or special troops. For clarity in histories and reports, the nation is identified previous to the number. This also helps in historical studies, but due to the nature of intelligence on the battlefield, division names and assignments are at times obscured. However, the size of the division rarely makes such obfuscation necessary. Historically, the Australian Army has fielded a number of divisions. During World War I, a total of six infantry divisions were raised as part of the all-volunteer Australian Imperial Force: 1st, 2nd, 3rd, 4th, 5th and 6th. The 1st Division and part of the 2nd saw service during the Gallipoli Campaign in 1915 before later taking part in the fighting on the Western Front between 1916 and 1918 along with the 3rd, 4th and 5th. The 6th Division existed only briefly in 1917, but was disbanded without seeing combat to make up for manpower shortages in the other divisions. Another infantry division, known as the New Zealand and Australian Division, was also formed from Australian and New Zealand troops and saw service at Gallipoli. Two divisions of Australian Light Horse were also formed – the Australian Mounted Division (which also included some British and French units) and the ANZAC Mounted Division – both of which served in the Sinai and Palestine Campaign during the war. Members of the Australian 6th Division at Tobruk, 22 January 1941. In the inter-war years, on paper the Australian Army was organised into seven divisions: five infantry (1st through to 5th) and two cavalry, albeit on a reduced manning scale. During World War II, the size of Australia's force was expanded to eventually include 12 infantry divisions: 1st, 2nd, 3rd, 4th, 5th, 6th, 7th, 8th, 9th, 10th, 11th and 12th. Of these, four – the 6th, 7th, 8th and 9th – were raised as part of the all-volunteer Second Australian Imperial Force, while the others formed part of the Militia, and were maintained through a mixture of volunteers and conscripts. In addition to the infantry divisions, three armoured divisions were formed: 1st, 2nd and 3rd. The Australian divisions were used in various campaigns in the Middle East, Greece, North Africa and the South West Pacific. Since the end of World War II, the number of divisions has fallen significantly as the Australian Army has concentrated its force generation at brigade level. Three divisions – the 1st, 2nd and 3rd – have existed during this time, but the 3rd Division was disbanded in 1991, and only two divisions currently remain active. The 1st Division is a skeleton organisation that acts as a deployable force headquarters, while the 2nd is a Reserve formation. The first division sized formation raised by the Canadian military was the First Contingent of the Canadian Expeditionary Force; raised in 1914, it was renamed the Canadian Division in early 1915 when it took to the field, and became the 1st Canadian Division when a 2nd Canadian Division took to the field later that year. A 3rd Canadian Division and 4th Canadian Division saw service in France and Flanders, and a Fifth Canadian Division was disbanded in the United Kingdom and broken up for reinforcements. The four divisions (collectively under the command of the Canadian Corps) were disbanded in 1919. Canada had nominal divisions on paper between the wars, overseeing the Militia (part-time reserve forces), but no active duty divisions. On 1 September 1939, two divisions were raised as part of the Canadian Active Service Force; a Third Division was raised in 1940, followed by a First Canadian (Armoured) Division and Fourth Canadian Division. 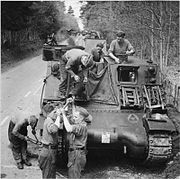 The First Armoured was renamed the Fifth Canadian (Armoured) Division and the Fourth Division also became an armoured formation. The 1st and 5th Divisions fought in the Mediterranean between 1943 and early 1945; the 2nd, 3rd and 4th Divisions served in Northwest Europe. A Sixth, Seventh and Eighth Division were raised for service in Canada, with one brigade of the Sixth Division going to Kiska in 1943. By 1945, the latter three divisions were disbanded as the threat to North America diminished. A Third Canadian Division (Canadian Army Occupation Force) was raised in 1945 for occupation duty in Germany, organized parallel to the combatant Third Division, and a Sixth Canadian Division (Canadian Army Pacific Force) was undergoing formation and training for the invasion of Japan when the latter country surrendered in September 1945. All five combatant divisions, as well as the CAOF and CAPF, were disbanded by the end of 1946. A First Canadian Division Headquarters (later renamed simply First Division) was authorized once again in April 1946, but remained dormant until formally disbanded in July 1954. Simultaneously, however, another "Headquarters, First Canadian Infantry Division" was authorized as part of the Canadian Army Active Force (the Regular forces of the Canadian military), in October 1953. This, the first peace-time division in Canadian history, consisted of a brigade in Germany, one in Edmonton and one at Valcartier. This division was disbanded in April 1958. The First Canadian Division was reactivated in 1988 and served until the 1990s when the headquarters of the division was transformed into the Canadian Forces Joint Headquarters and placed under the control of the Canadian Expeditionary Force Command. The CFJHQ was transformed back into Headquarters, 1st Canadian Division, on 23 June 2010, the unit once more falling under the control of the Canadian Army. The unit is based at Kingston.Canada currently has 5 divisions under its command. 1st Canadian Division has approximately 2000 troops under its command, while 2nd Canadian Division, 3rd Canadian Division, 4th Canadian Division, and the 5th Canadian Division have approximately 10,000 troops each. The People's Liberation Army (PLA) deploys the world's largest ground force, currently totaling some 1.6 million personnel, or about 70% of the PLA's total manpower (2.3 million in 2005). The ground forces are divided into seven Military Regions (MR). The regular forces of the ground forces consist of 18 group armies: corps-size combined arms units each with 24,000–50,000 personnel. The group armies contain among them 25 infantry divisions, 28 infantry brigades, nine armoured divisions, nine armoured brigades, two artillery divisions, 19 artillery brigades, 19 antiaircraft artillery/air-defense missile brigades, and 10 army aviation (helicopter) regiments. There are also three airborne divisions manned by the PLA Air Force (PLAAF). The PLA Navy (PLAN) has two multi-arm marine brigades. The NRA Division (Script error) was a military unit of the Chinese Republic. The original pattern of the infantry Division organization of the early Republic, was a square division. It was formed with two infantry brigades of two infantry regiments of three infantry battalions, an artillery regiment of fifty four guns and eighteen machineguns, a cavalry regiment of twelve squadrons, an engineer battalion of four companies, a transport battalion of four companies, and other minor support units. In the mid-1930s, the Nationalist government with the help of German advisors attempted to modernize their army and intended to form sixty Reorganized Divisions and a number of reserve divisions. Under the strains and losses of the early campaigns of the Second Sino-Japanese War, the Chinese decided in mid-1938 to standardize their Divisions as triangular divisions as part of their effort to simplify the command structure and placed them under Corps, which became the basic tactical units. The remaining scarce artillery and the other support formations were withdrawn from the Division and were held at Corps or Army level or even higher. During the Second Sino-Japanese War, the Chinese Republic mobilized at least 310 Infantry Divisions, 23 Cavalry Divisions, and one Mechanized Division, (the 200th Division). 1st Division (Santa Marta) – Its jurisdiction covers the Northern Region of Colombia in which there are the departments of Cesar, La Guajira, Magdalena, Sucre, Bolívar and Atlántico. 2nd Division (Bucaramanga) – Its jurisdiction covers the north eastern Colombia in which there are the departments of Norte de Santander, Santander and Arauca. 3rd Division (Popayán) – Its jurisdiction covers the South West of Colombia in which there are the departamntos of Nariño, Valle del Cauca, Cauca, Caldas, Quindio, part of Santander and the southern part of the Chocó. 4th Division (Villavicencio) – Its jurisdiction covers the eastern region of Colombia in which there are the departments of Meta, Guaviare, and part of Vaupés. 5th Division (Bogotá) – Its jurisdiction covers the Central Region of Colombia in which there are the departments of Cundinamarca, Boyaca, Huila and Tolima. 6th Division (Florencia) – Its jurisdiction covers the southern region of Colombia in which there are the departments of Amazonas, Caquetá, Putumayo and southern Vaupés. 7th Division (Medellin) – Its jurisdiction covers the western region of Colombia in which there are the departments of Cordoba, Antioquia, and part of the Chocó. 8th Division (Yopal) – Its jurisdiction covers the northeastern region of Colombia in which there are the departments of Casanare, Arauca, Vichada, Guainía, and the municipalities of Boyaca of Cubará, Pisba, Paya, Labranzagrande and Pajarito. 1. Panzerdivision includes the main part of the rapid reaction forces. The DSO is specialized in airborne and commando operations, the DLO covers army aviation, airmobile forces and combat support troops. 10. Panzerdivision and 13. Panzergrenadierdivision are planned for peace keeping missions. Each division is structured in two brigades and divisional troops. With more than 1,130,000 soldiers in active service, the Indian Army is the world's third largest. An Indian Army division is intermediate between a corps and a brigade. Each division is headed by General Officer Commanding (GOC) in the rank of major general. It usually consists of 15,000 combat troops and 8,000 support elements. Currently, the Indian Army has 37 divisions including four RAPIDs (Reorganised Army Plains Infantry Divisions), 18 iInfantry divisions, 10 mountain divisions, three armoured divisions and two artillery divisions. Each division consists of several brigades. An Army division in the Pakistan Army is an intermediate between a corps and a brigade. It is the largest striking force in the army. Each division is headed by General Officer Commanding (GOC) in the rank of major general. It usually consists of 15,000 combat troops and 8,000 support elements. Currently, the Pakistani Army has 29 divisions comprising 20 infantry divisions, two armoured divisions, two mechanized divisions, two air defence divisions, two strategic divisions and one artillery division. Each division consists of several brigades. In the British Army, a division is commanded by a major-general with a WO1 as a sergeant major and may consists of three infantry, mechanised and/or armoured brigades and supporting units. It used to have four other divisions. These are now disbanded and placed under on single two-star command, Support Command. In the future, it will have two core divisions, the 3rd (UK) Division as part of the Reaction Force while the 1st (UK) Division will be part of the Adaptable Force. Support Command will continue to exist. There will also be a Force Troops Command. A divisional unit in the United States Army typically consists of 17,000 to 21,000 soldiers commanded by a major general. Two divisions usually compose a corps and each division consists of four maneuver brigades, an aviation brigade, an engineer brigade, and division artillery (latter two excluded from divisional structure as of 2007), along with a number of smaller specialized units. Soldiers from the US 1st Infantry Division in Fallujah, 2005. The United States Marine Corps has a further three active divisions and one reserve division. They consist of three infantry regiments, one artillery regiment, a tank battalion, a Light Armored Reconnaissance battalion, an Amphibious Assault Vehicle battalion, a reconnaissance battalion, a combat engineer battalion, and a headquarters battalion. 1st Marine Division at Camp Pendleton, California. 2nd Marine Division at Camp Lejeune, North Carolina. 3rd Marine Division at Camp Smedley D. Butler, Okinawa, Japan. 4th Marine Division with units located throughout the United States and headquartered in New Orleans, Louisiana. In the Soviet Armed Forces, a division (Russian: diviziyaScript error) may have referred to a formation in any of the Armed Services, and would have included subunits appropriate to the service such as regiments and battalions, squadrons or naval vessels. There is also a similarly sounding unit of military organization in Russian military terminology, called divizion. A divizion is used to refer to an artillery battalion, a specific part of a ship's crew (korabel'nyy divizionScript error, 'ship battalion'), or a group of naval vessels (divizion korableyScript error). Almost all divisions irrespective of the service had the 3+1+1 structure of major sub-units, which were usually regiments. During the Soviet era, a Motorised Rifle Division (MRD) usually had approximately 12,000 soldiers organized into three motorized rifle regiments, a tank regiment, an artillery regiment, an air defense regiment, surface-to-surface missile and antitank battalions, and supporting chemical, engineer, signal, reconnaissance, and rear services companies. A typical tank division had some 10,000 soldiers organized into three tank regiments and one motorized rifle regiment, all other sub-units being same as the MRD. A typical Soviet Frontal Aviation Division consisted of three air regiments, a transport squadron, and associated maintenance units. The number of aircraft within a regiment varied. Fighter and fighter-bomber regiments were usually equipped with about 40 aircraft (36 of the primary unit type and a few utility and spares), while bomber regiments typically consisted of 32 aircraft. Divisions were typically commanded by Colonels or Major Generals, or Colonels or Major Generals of Aviation in the Air Force. Soviet Naval and the Strategic Missile Forces divisions. After the collapse of the Soviet Union, Russian tank and motorized-rifle divisions were reduced to near-cadre state, many being designated Bases for Storage of Weapons and Equipment (Russian acronym BKhVT). These bases, or "cadre" divisions, were equipped with all the heavy armaments of a full-strength motor-rifle or tank division, while having only skeleton personnel strength, as low as 500 personnel. The officers and men of a cadre division focus primarily on maintaining the equipment in working condition. During wartime mobilization, such a division would be beefed up to full manpower strength; however, in peacetime, a cadre division is unfit for any combat.